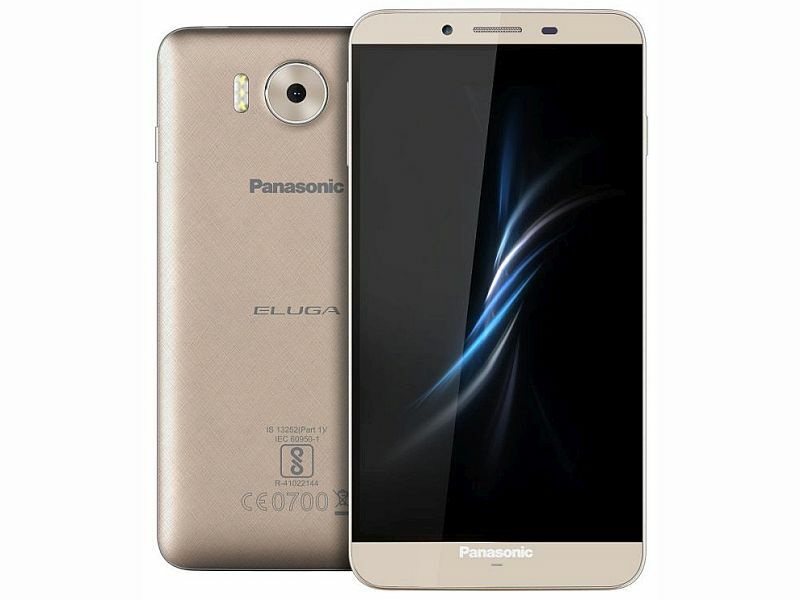 PANASONIC is a well known & well established Japanese Brand which caters to the needs of almost each & every part of our life whether it is Kitchen, Home Appliances or Luxury Items or Latest Smartphones etc. There are so many products already in the market with the Panasonic branding like Plasma - LCD - LED Tvs & Monitors, DLP & LCD Projectors, DSLRs & Video Cameras, DVD Player-Recorder, Blu-Ray Player-Recorder, Audio Products - Tape Products, High Fidelity Systems, Microwave Oven, Rice Cooker, Coffee Maker, Bread Maker, Food Processor, Dishwaher, Steam Iron, Vaccum Cleaner, Washer & Dryer, ACs, Refrigerators, Electric Shaver etc. 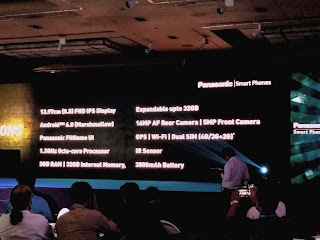 Panasonic also making Beauty - Health - Office & Security products like Hair Dryer, Facial & Hair Trimmer, Blood Pressure Monitors, Radiology & Imaging Industrial Equipments, Communications & Security Products Like Business Telephone Systems, Cordless Telephone, Network Camera & Facsimile, Personal Computers & Office Products etc. 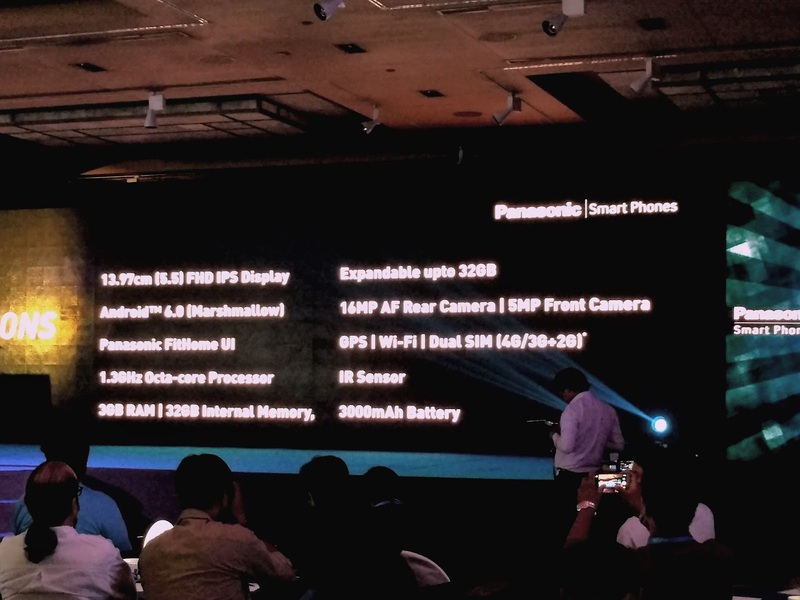 Panasonic brand products list has no end as Panasonic touches each & every chore of our daily routine life. Today on 04th July, 2016 Panasonic organized a Launch Event at Le Meridian Hotel, Delhi. 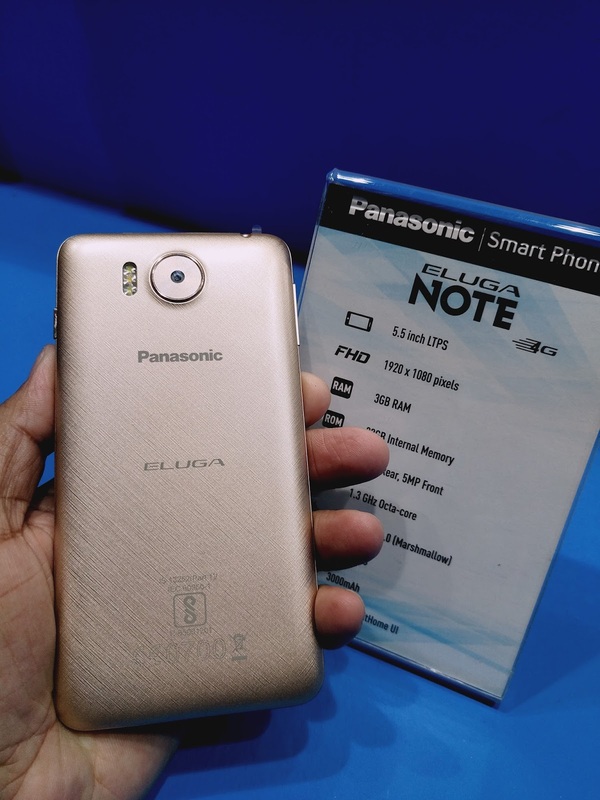 Panasonic launched its new Smartphone ELUGA NOTE in this event. 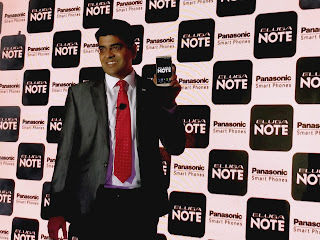 Mr.Pankaj Rana Business Head, Mobility Division, Panasonic India come on the stage to launch the Panasonic Eluga Note and all the participants welcomed him with great applause. 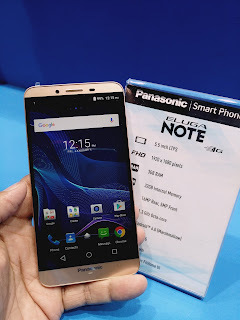 Mr.Rana revealed the Panasonic Eluga Note and he not only talked about the company's working policies and strategies but he also explained the features and specifications of the new device Eluga Note Smartphone. 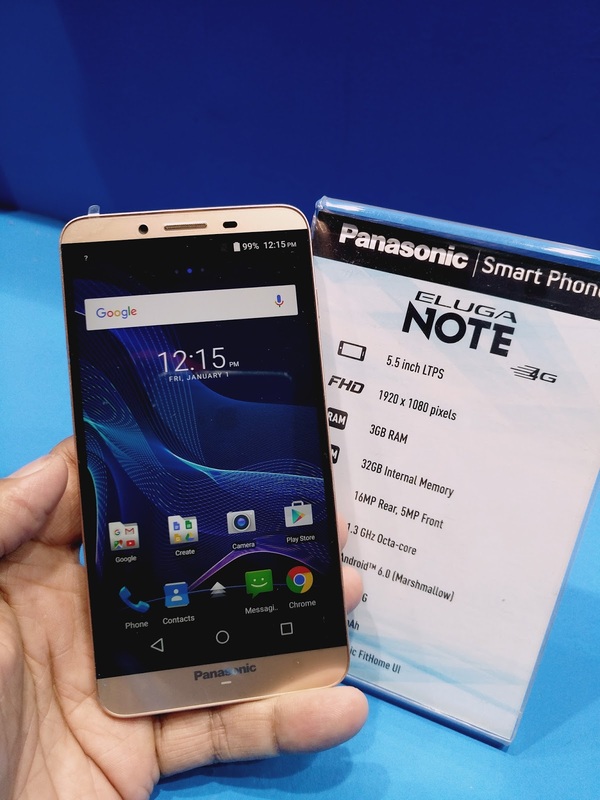 Panasonic Eluga Note is a new Phablet sized smartphone. 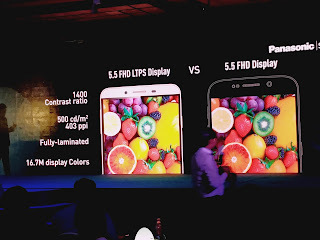 It has a 5.5" Inches 1080p pixel resolution Full HD IPS LTPS Fully Laminated Display and Company claims that it is a bright and low power consuming display. LTPS is a new featured display as explained by Panasonic it is Low Temperature Polycrystalline Silicon 403ppi density Display. It also have 360degree screen rotation support. This handset has Dual 4G Sim support with dual standby. 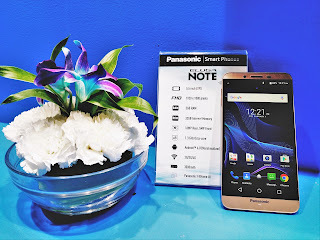 Panasonic Eluga Note smartphone is a empowered by 1.3Ghz 64bit Cortex A53 Octa Core Processor with MT6753 Mediatek Chipset. It has Mali-T720 GPU Graphic Processor in it. Eluga Note is having 3GB of RAM & 32GB onboard storage capacity with expansion of more 32GB of space with the support of MicroSD Card slot. Panasonic Eluga Note handset comes with FitHome User Interface over latest Android Marshmallow version 6.0 out of the box. It has very nice easy swipe apps feature with circular rotation of apps with the help of arrow sign given on home button which is quite interesting. 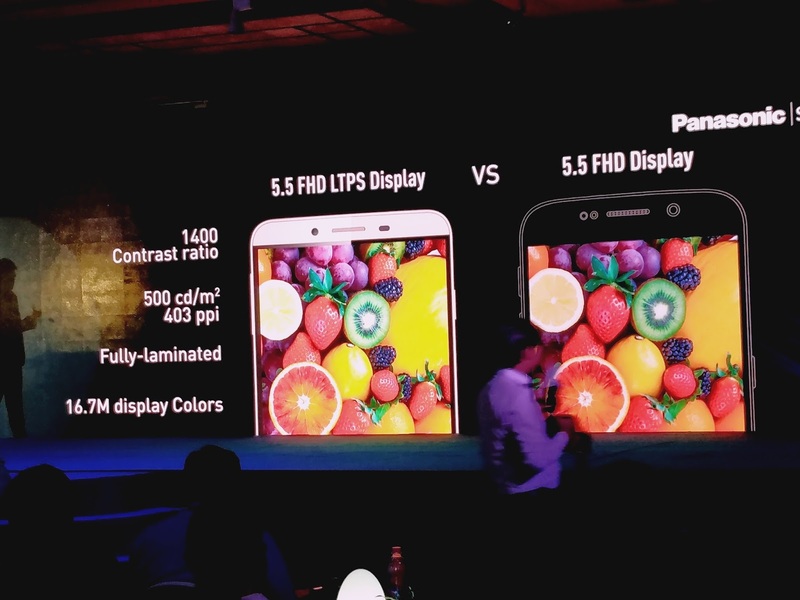 Eluga Note phablet has a 16 megapixel Autofocus Camera with F/1.9 aperture speed on its back with a unique interesting feature of Triple LED Flash Light support. This handset also having a 5 megapixel Fixed Focus selfie camera on its front. Panasonic Eluga Note having sensors like Ambient Light Sensor, Accelerometer Sensor, Proximity Sensor. It also having latest 4G LTE with VoLTE support means it should allow voice calls over mobile data on supporting networks like the upcoming Reliance Jio network. It also having connectivity as 2G (GSM), 3G (WCDMA), IR, BLUETOOTH 4.0, 3.5mm Audio Jack, GPS-AGPS, WiFi Direct, WiFi Hot-Spot, and FM Radio app is pre-installed on it. 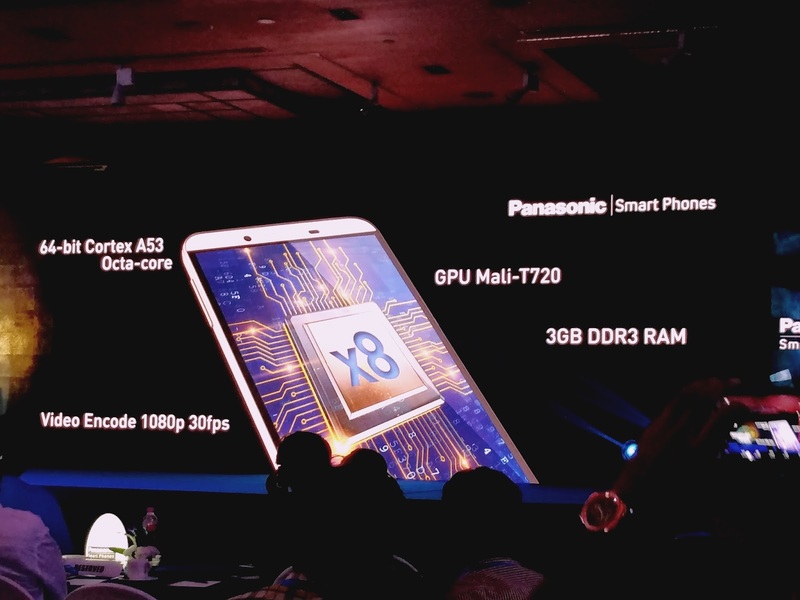 It measures 146 x 74 x 8.1 (height x width x thickhness (height x width x thickness) and weight of this smartphone is 142 grams. 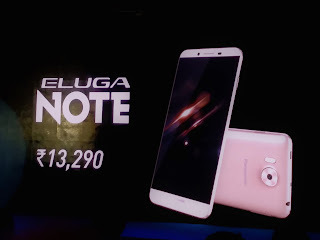 Eluga Note power packed with a 3000mAh non-removable inbuilt Battery. 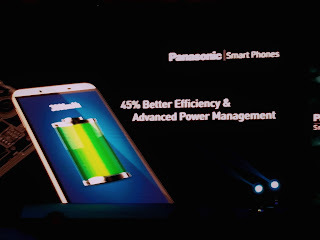 Panasonic claims that it is 1.2x better, Low Heat Production and for 45% better efficiency with Advanced Power Management. Its not having Type C charging Port in it. It has old traditional Micro USB Port for charging purpose. This smartphone comes with the Panasonic (a well fame) Brand warranty. It is Premium looking Unibody Metal body designed device. As it is a new launch smartphone so it is expected to have latest feature like a Finger-Print Sensors Security which is skipped by Panasonic which may have an adverse effect on its sale. It does not have USB Type C charging port. It is also looks overpriced at Rs.13,290/-. LeEco Le2 and Redminote 3 are already in the market to give it a tough competition.